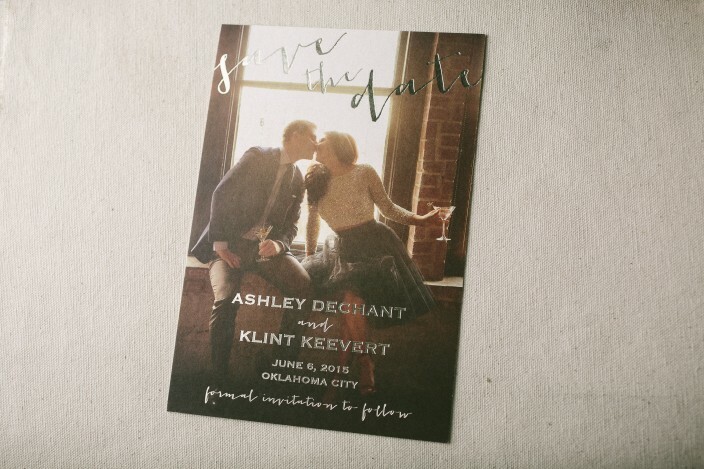 photo save the date - Smock. 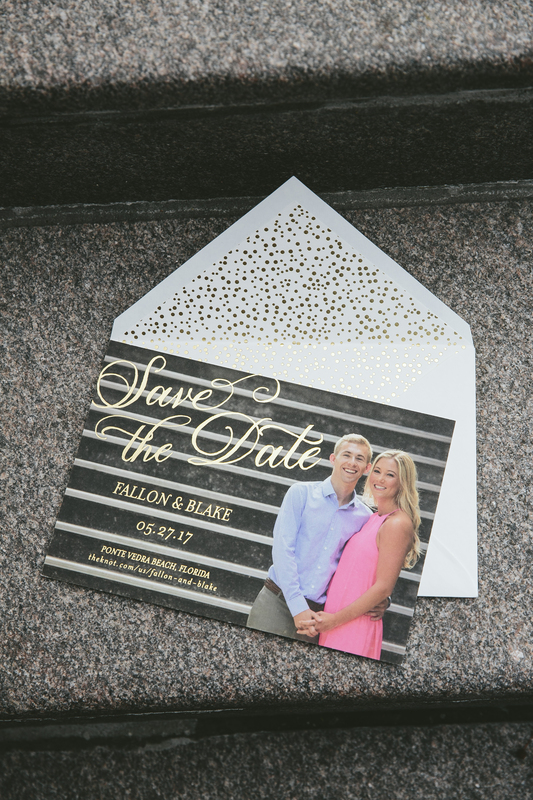 Photo save the dates are a great way to share engagement photos with family and friends while giving them a heads on your wedding date and location. 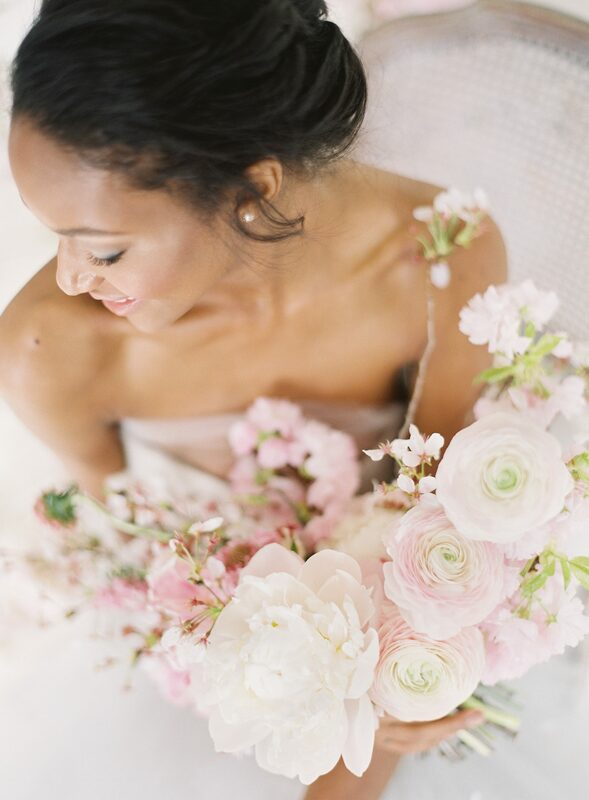 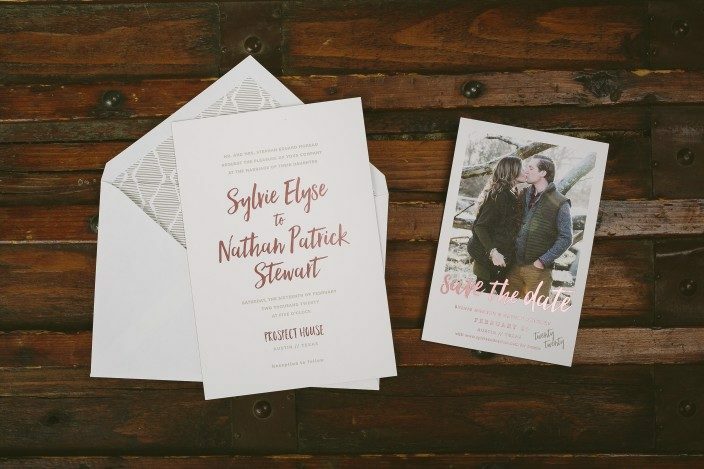 They’re also an ideal way to share your wedding website, which can include directions, accommodations, photos, sweet stories, registry info, and more. 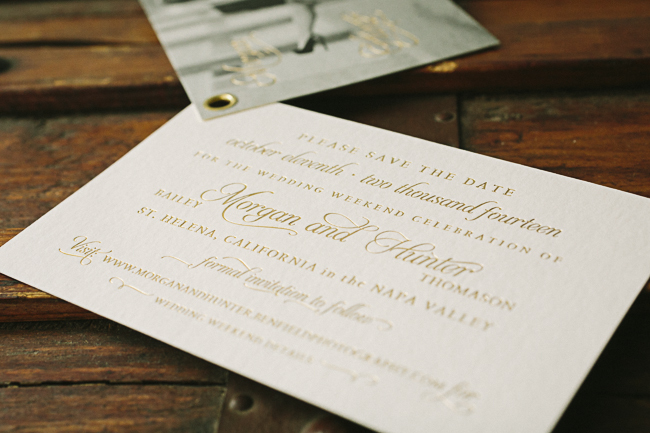 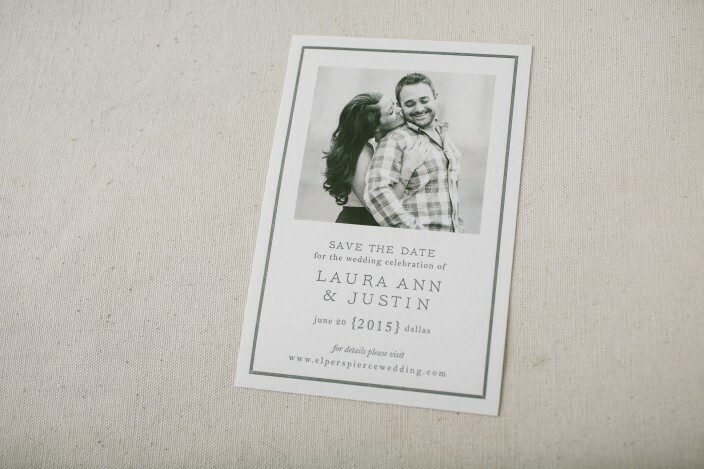 Today we’re sharing a few of our favorite photo save the dates to give you some ideas on ways to customize your own! 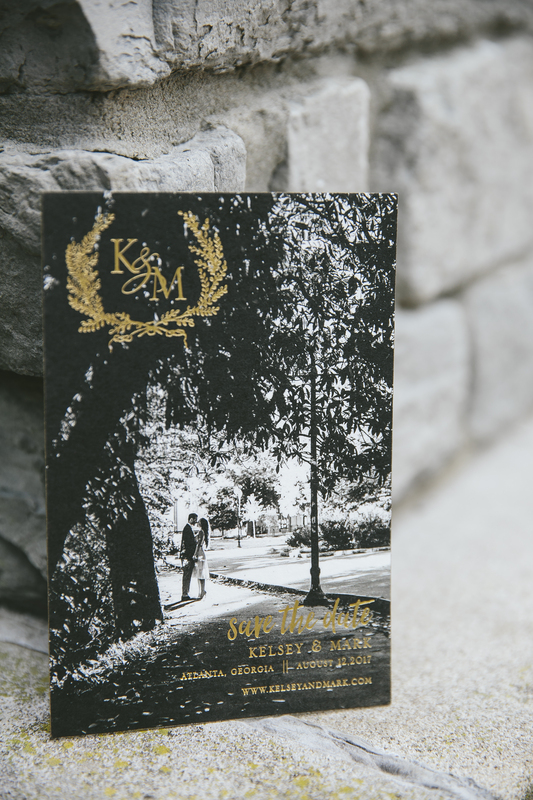 Go big: Ashley and Klint chose our larger S-8 invitation size for their photo save the dates, and added tawny matte foil for an extra touch of glamour. 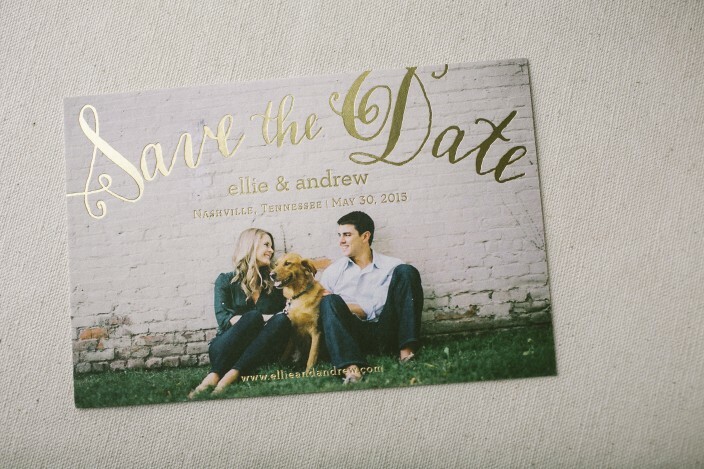 Make it personal: Ellie and Andrew included their adorable dog on their custom photo save the dates, and used our Stella calligraphy font to add a touch of whimsy. 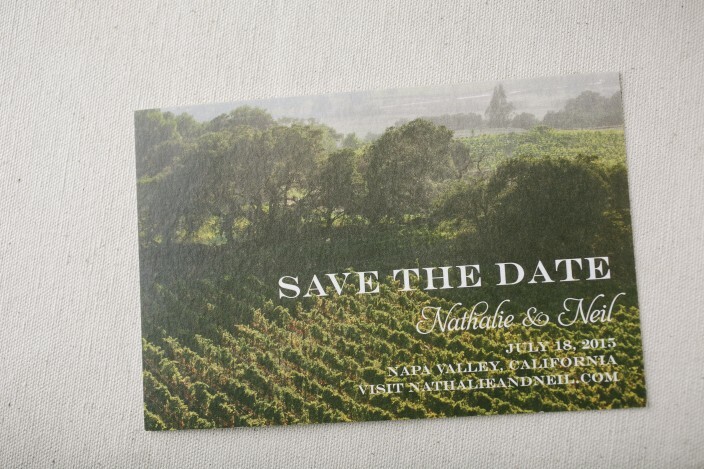 Show the locale: These scenic photo save the dates gave guests a peek at the beautiful scenery to come for Nathalie and Neil’s Napa Valley celebration. 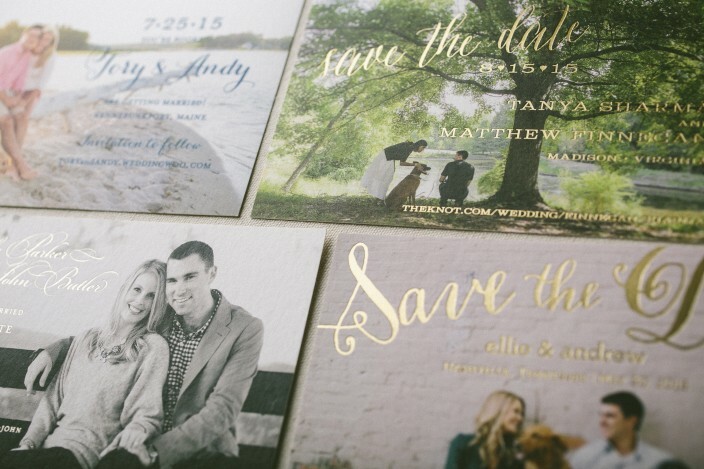 Share your story: Tory and Andy got married in the place they met as teenagers – and added their wedding website to their save the dates to help tell their love story! 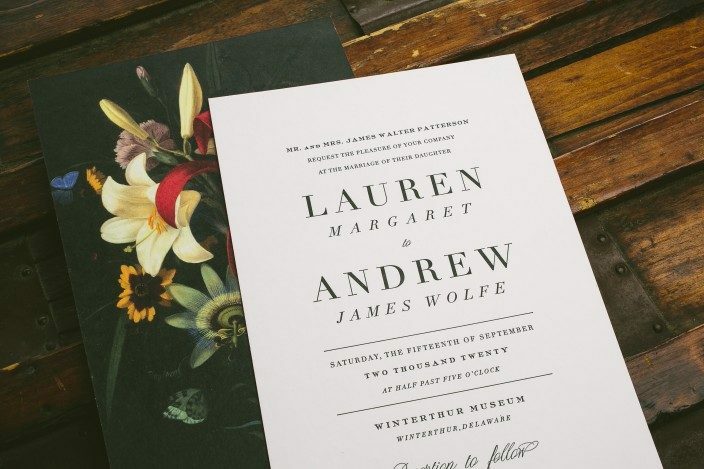 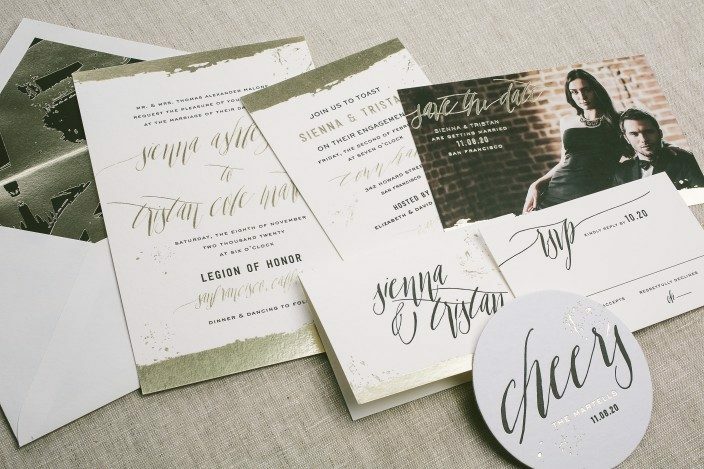 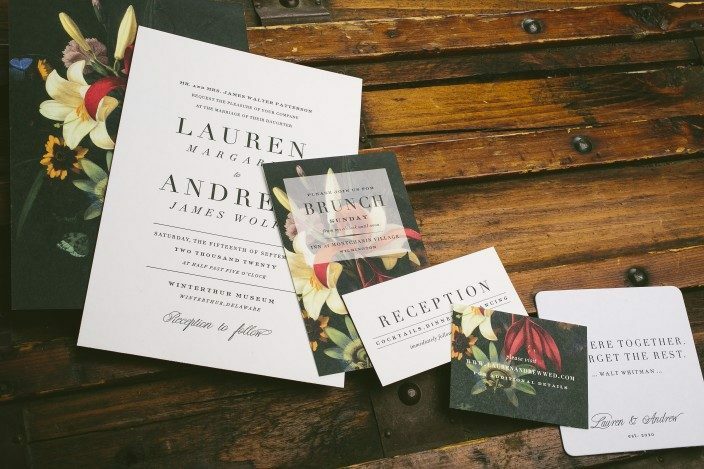 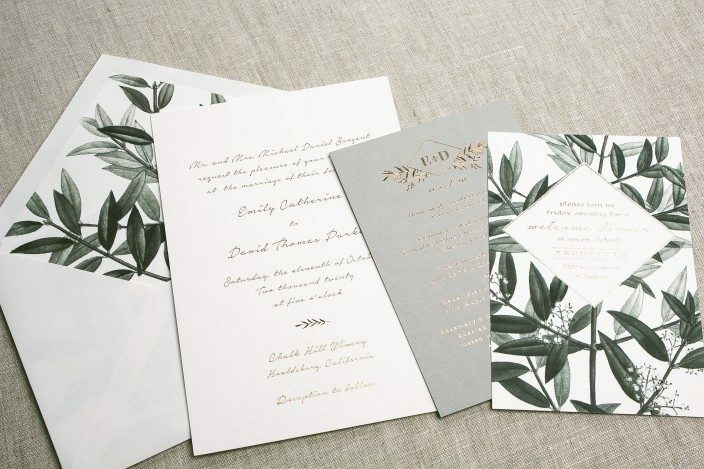 Keep it classic: Laura and Justin combined letterpress printing and digital printing for their Ashbourne save the dates, and went for a timeless look by using a black and white photo. 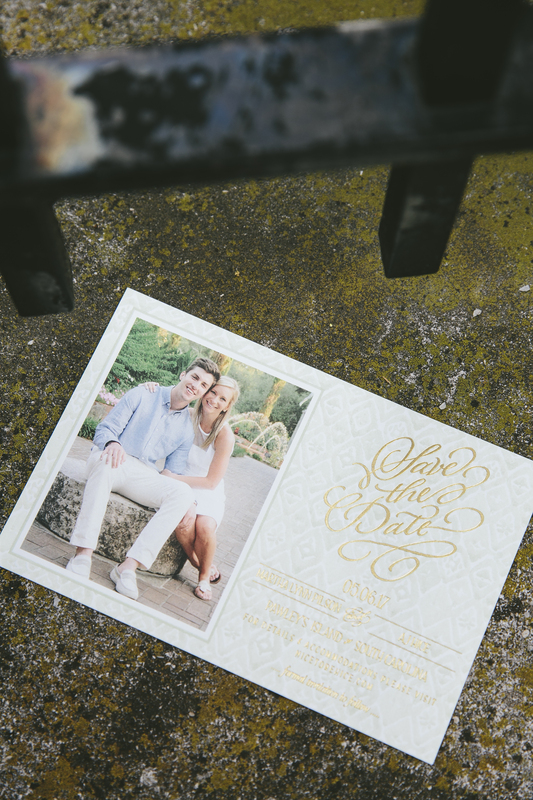 Tie it all together: Tanya and Matthew took advantage of our 6+ printed pieces discount (and saved 10%!) 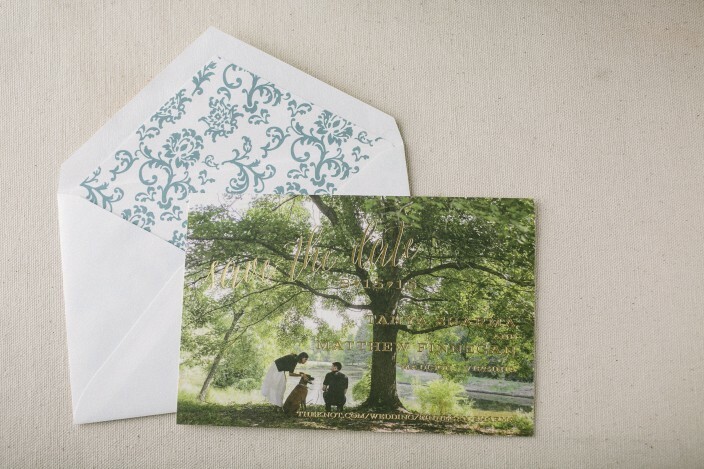 for their wedding stationery. 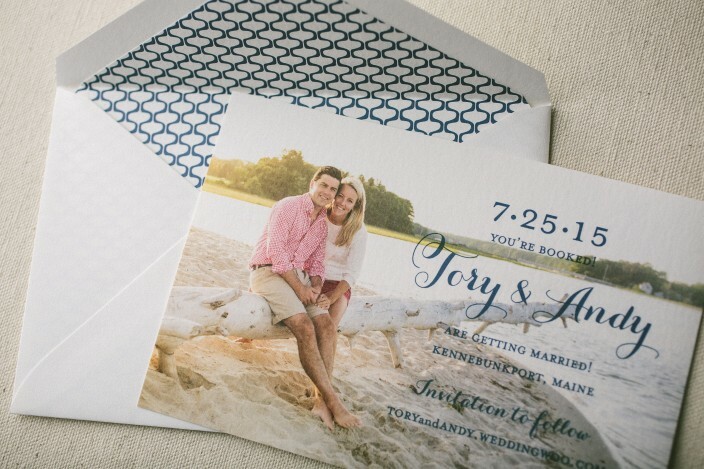 They printed their save the dates and their Barnesly invitations at the same time, and tied it all together by matching the fonts and adding blue to their save the date envelope liners to match the blue watercolor wash on their invitations. 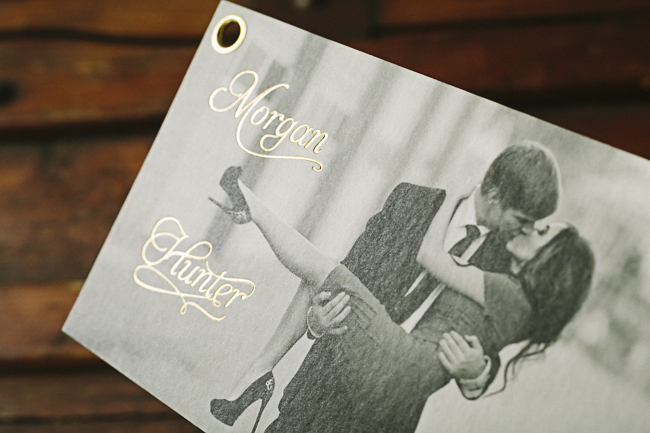 For Morgan and Hunter’s custom photo save the dates, we digitally printed one of their beautiful engagement photos before adding a touch of gold matte foil. 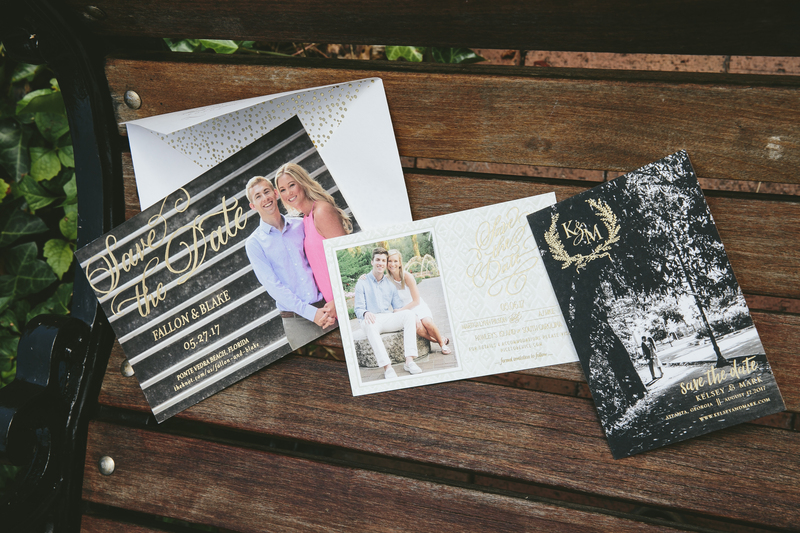 A second card with additional information — including a wedding website — was attached to the photo card with a shiny gold grommet. 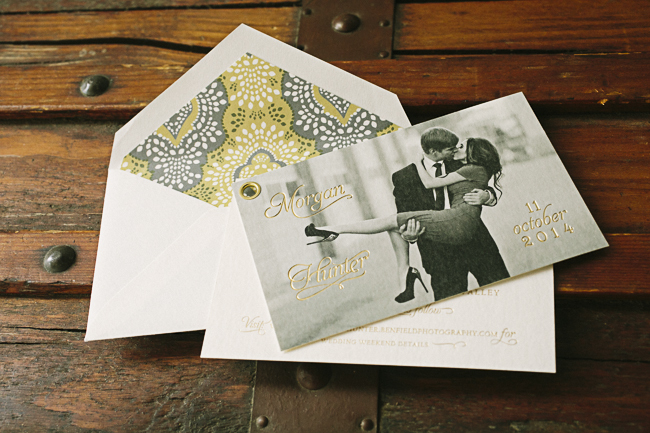 Rainier patterned envelope liners added a splash of color to these elegant photo save the dates.